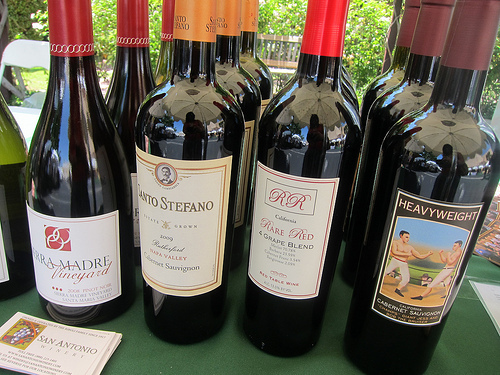 At the beginning of June, I attended one of the days of the LA Wine Fest. Like some sort of amateur, I hadn’t eaten. But fortunately there were food trucks and I found some freebies here and there such as the flavored chocolate below. 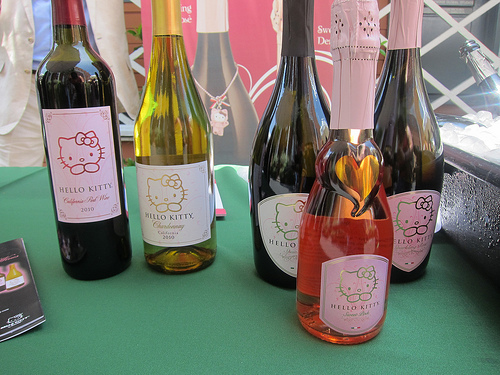 After I had some nibbles, I was directed by friends who just visited the Hello Kitty wine table to go try it for myself. Let’s be honest, I wasn’t expecting much. I had heard from a wine store owner she couldn’t keep in stock when she could get it though. I talked to the rep that day and he said they would definitely be more widely available in the upcoming months. And they even have sparkling wines now. I can imagine this will be the highlight of many birthday parties for 21-year-olds and bachelorette parties. 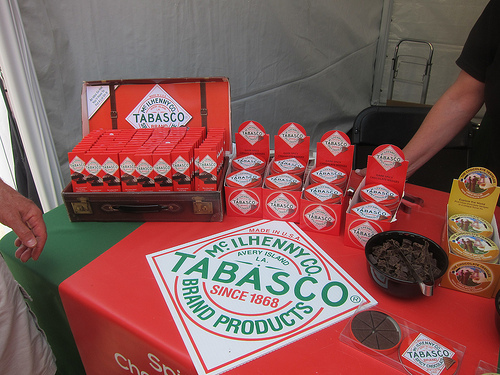 Sticking with the sweet theme, I had some chocolate that was Tabasco flavor before heading to Roxo Port Cellars. 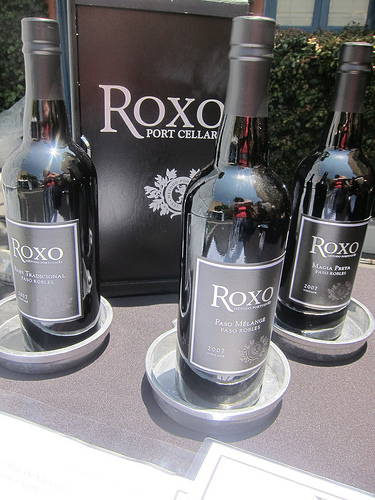 The port-style wine was viscous in the hot afternoon sun. It wasn’t bad but I was surprised how thick it was. I wondered how it’d be in a cocktail. San Antonio Winery was there with several wines. They even had cans of a pre-mixed vodka drink. I tried the Heavyweight wine, admittedly because it’s a great label as well as the sangria. Another great label. Neither appealed too much to me but I still want to check out San Antonio. It’s between Lincoln Heights and Chinatown and we would drive by it often enough when I was growing up. 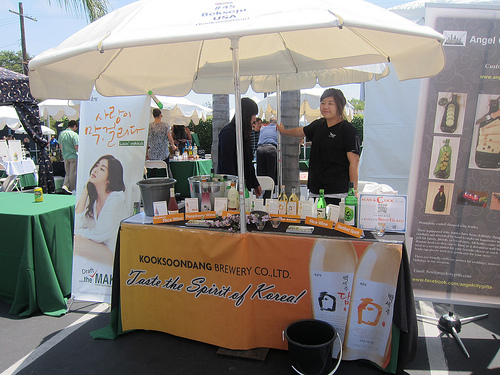 I had a lot of fun at the Taste the Spirit of Korea booth. I knew about soju and raspberry wine but I hadn’t tried other spirits. I really enjoyed the rice wine. I was imagining something light but it had quite the little kick. 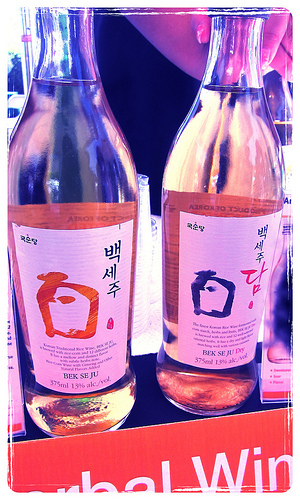 As for the Korean herbal wine, I feared bitterness but it was actually very smooth and aged tasting. I know what you’re thinking- am I not into amaro? Yes, I am but I don’t particularly like Asian herbs. I didn’t try the Korean gingseng wine for that reason. But perhaps I should have. 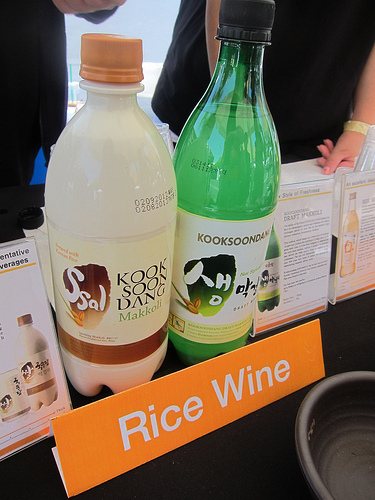 This was a really great introduction to what’s beyond soju and Korean beer. 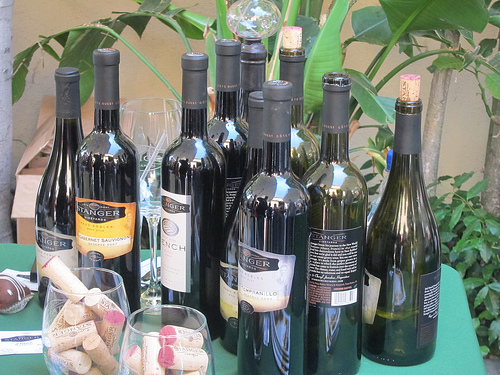 Then we went in search of Temperanillo which we didn’t actually try as they plied us with so many other wines to try. We took a little break from the tasting to try the gourmet treats from Fanciful Gifts. They had brought cheeses, honeys and an elderflower syrup. 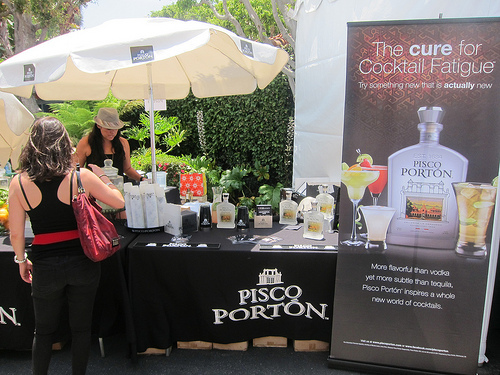 I found it really interesting that besides the wine, a few spirits were there including Pisco Porton. They had punches to try. 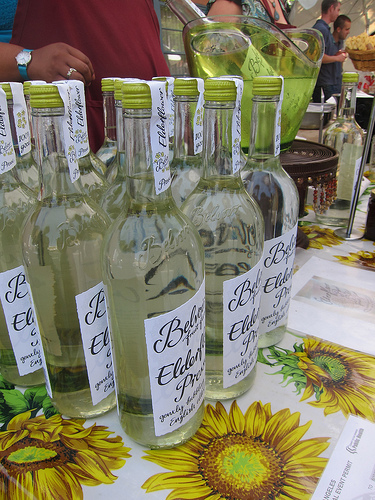 I’m really going to have to get a bottle of pisco soon to make sours and punches at home since I love pisco so much. Then I found the whiskies! 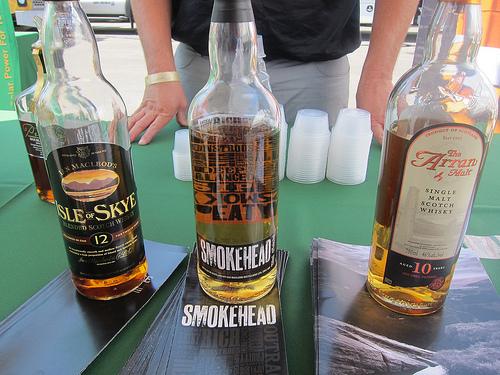 We had an impromptu Scotch tasting including Isle of Skye, Smokehead and Arran. I probably would have liked to have added a drop or two of water to really open them up. The Smokehead as the name suggests was incredibly smokey. It’s an Islay single malt though there were some lighter citrus notes to it. Like Bailey’s or Kahlua? 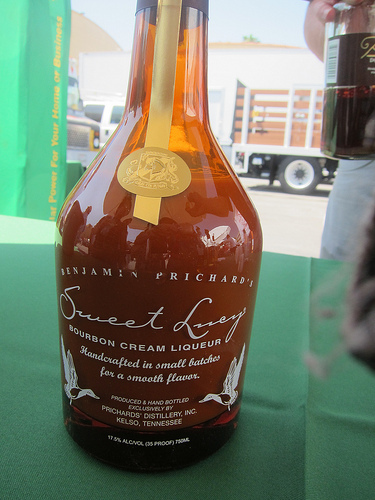 Then you’d probabably like Sweet Lucy’s Bourbon Cream Liqueur. Next year, I’m going to be better prepared for this wine tasting extravaganza and eat before hand! 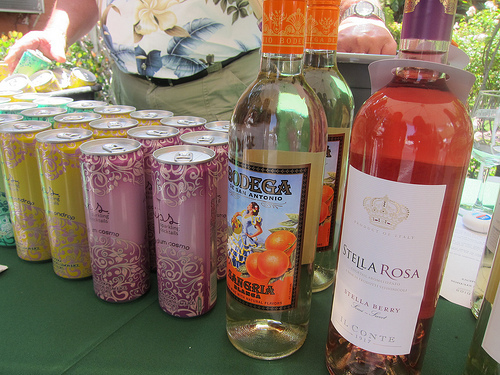 There were so many more wines and spirits to try. This entry was posted in alcohol education, alcohol tasting, cocktails, events, history, la, los angeles, spirits, the minty, wine and tagged hello kitty wine, korean spirits, la wine fest, scotch whisky, soju, the minty, whisky, wine, wine tasting. Bookmark the permalink.